Steak Salad featring the Worlds Best Steak Marinade! 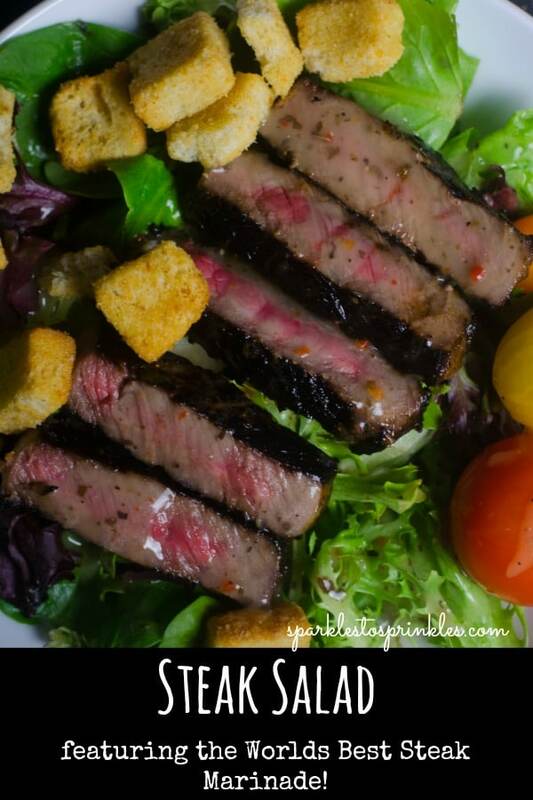 Steak Salad featuring the Worlds Best Steak Marinade! This Steak Salad featuring the Worlds Best Steak Marinade! has become my number one favorite quick meal during the week that keeps my diet on track. My World’s Best Steak Marinade is the most delicious marinade on the planet!! We use this recipe year round but we really start breaking it out on an every other day basis in the summertime. 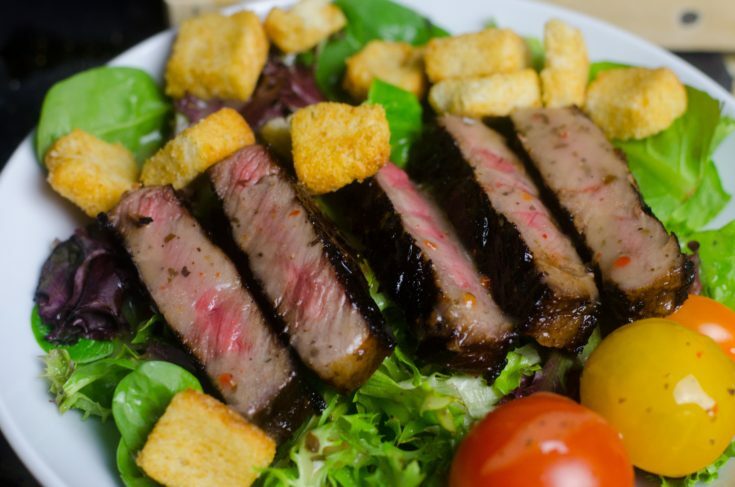 This Steak Salad featuring the Worlds Best Steak Marinade! has become my number one favorite quick meal during a very hectic spring sport season. I love to cook an extra steak or two to save for salad during the week. Meal planning has become my number one lifesaver during the school year and during whichever sport is in season that has me running around like a crazy lady. This steak salad is a big hit in the house with everyone. You can add all of your favorite salad toppings as well as your favorite dressing. 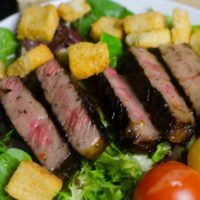 Delicious Steak Salad featuring the World's Best Steak Marinade is a perfect meal for any night of the week.